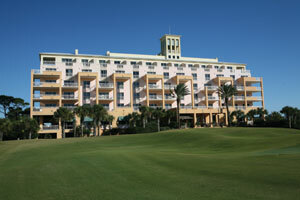 Time to sell your Kiva Dunes condo? Read about today's resort-market buyer. Kiva Dunes Lodge was built in 2001 and consists of only 24 units. The condo is extremely convenient to the golf course and features a nice amenity package. Kiva Lodge is also conveniently located near the Beach Club and several marinas that offer fishing charters. The Peninsula golf course is 27 holes of championship golf and is a short drive from Kiva Lodge. Amenities for Kiva Lodge include: a swimming pool, exercise room, on-site management, meeting / conference room, clubhouse, BBQ area and a tennis / racquetball area. For info on all condos, visit our Gulf Shores condos for sale page. Please let us know if you would like further info on Kiva Lodge or any other condo, home or real estate in the area or would like to schedule a private viewing by emailing info@condoinvestment.com or by calling (251) Area-Pro (251-273-2776) for immediate assistance. Rental tips to improve your Kiva Lodge revenue.